Intel debuted the 7th-generation of Intel Core processor at IFA 2016, but its initial line was limited to only dual-core mobile chips. Those looking for new desktop hardware were told they’d have to wait. Now the wait is over. 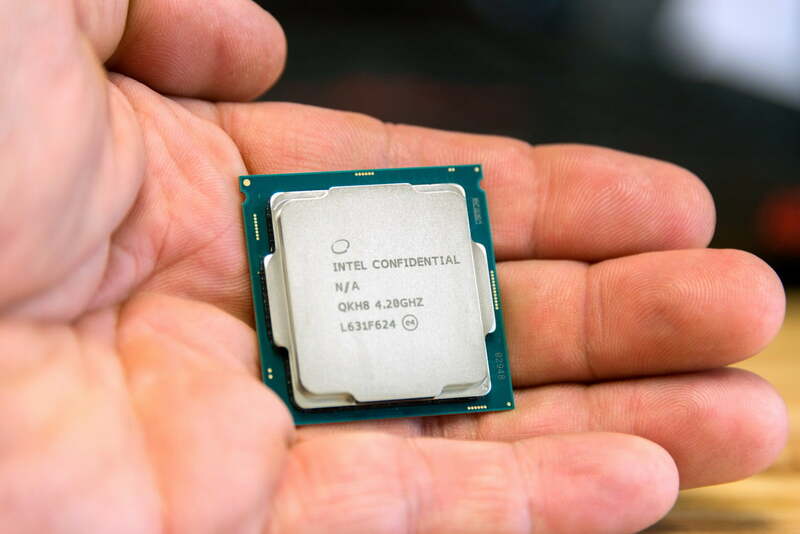 Intel’s Core i7-7700K is here. It’s the flagship of Intel’s latest processor architecture, a quad-core behemoth that’s aimed at enthusiasts, gamers, and workstation users. That it will be quick goes without saying, but the 7th-generation represents an undesirable change in pace for Intel. It’s the third processor family built on a 14-nanometer production process. Normally, Intel would move on to a smaller technique for this new generation, but the company’s 10-nanometer production has been delayed. Has that hobbled the Core i7-7700K, Or is it a worthwhile upgrade? And can it keep users excited about Intel hardware with AMD’s Ryzen just around the corner? New processor, same as the old processor? Intel’s Core i7-7700K is like a son born to a family of blacksmiths in a medieval backwater. It’s a quad-core processor that supports overclocking just like its father, and its father before, and its father before. 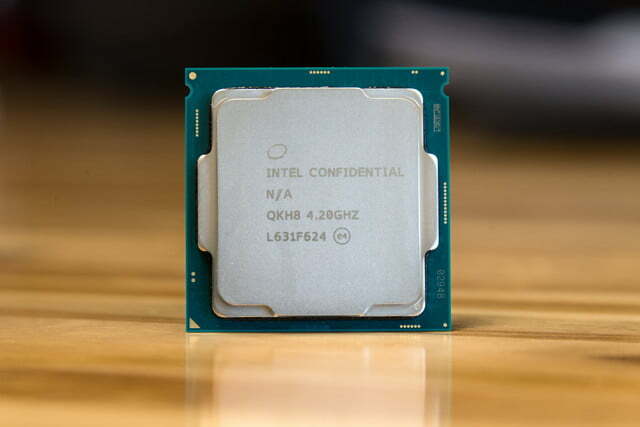 The lineage can be traced all the way back to the Core i7-2700K, which debuted in late 2011. Not much has changed over the years – at least according to the specification sheet. 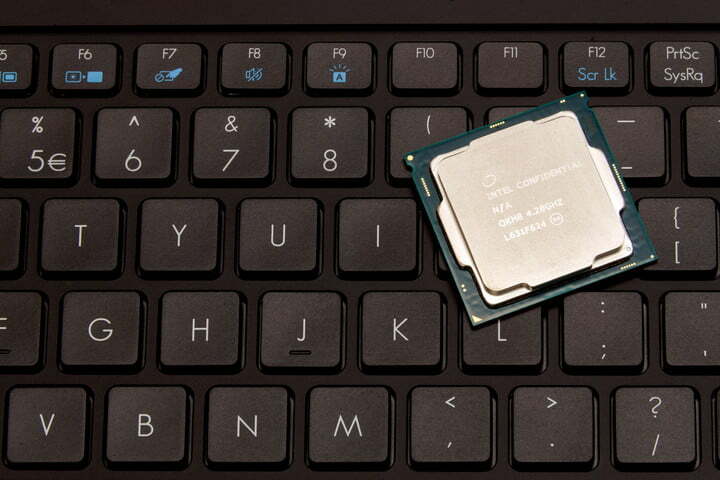 The Core i7-7700K is a quad-core chip with Hyper-Threading, which means it acts as if it were an eight-core processor. The base clock speed is 4.2GHz — up from 4GHz in the Core i7-6700K– and the maximum Turbo Boost speed is 4.5GHz — up from 4.2GHz. The chip has the same 8MB SmartCache that can be found in every chip in its lineage, going all the way back to the i7-2700K. The thermal design power is 91 watts, the same as its predecessor, and down only slightly from the i7-2700K. The graphics solution, Intel’s HD 630, is the same one found in the Core i7-6700K. The same DDR4 memory is supported, though the maximum speed is now 2400MHz, an increase from 2133MHz. And the chip uses the same LGA1151 socket as before. That’s a lot of similarities. So, what has changed? There’s just one major feature to point to; Intel’s New Media Engine. The 7th-generation Intel Core chips included hardware decode support for VP9 and HEVC 10-bit, with enables hardware decode of 4K. Intel isn’t talking about this much with the Core i7-7700K, because it’s a little irrelevant. Its predecessor handled 4K video just fine, even if it was typically software decode. Still, it’s good to know the Core i7-7700K can handle 4K video with minimal processor load. 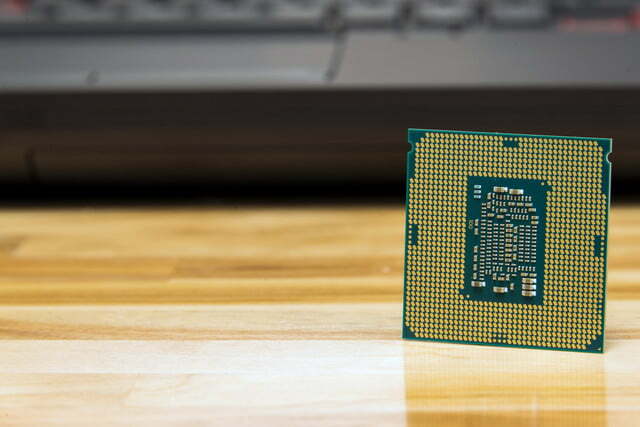 As usual, Intel has a new line of chipsets to go with its new processor. 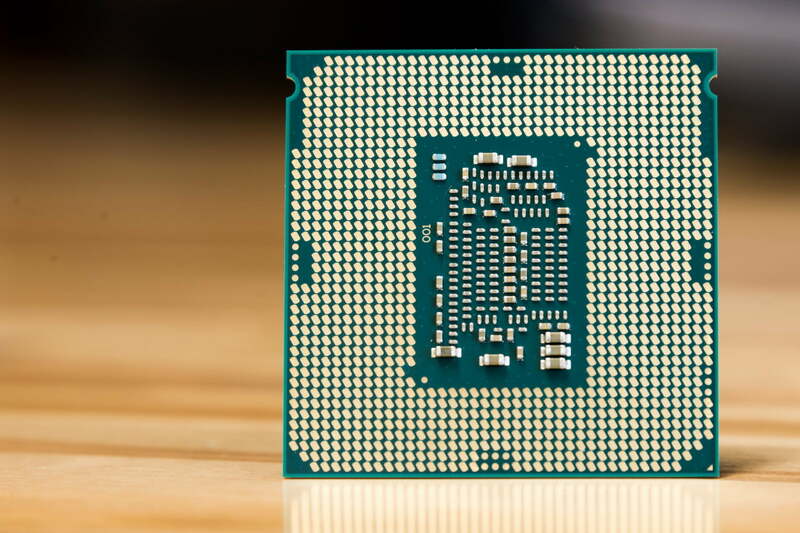 Though there’s technically five new chipsets, consumers need only pay attention to the Intel H270 and Intel Z270, the consumer-focused options. The former is a budget chipset, while the latter is for enthusiasts. What separates them? It mostly comes down to PCI Express lanes and overclocking. The H270 can support up to 20 PCI Express 3.0 lanes on the chipset, while the Z270 has 24. And while the H270 and Z270 both include support for a PCI Express 3.0 1×16 slot for a graphics card, the Z270 lets motherboard builders split the lanes up among two or three slots, for users interested in multiple-GPU setups. Only the Z270 supports overclocking. That’s important for anyone considering the Core i7-7700K, which is an unlocked chip designed to allow overclocking. If you buy a i7-7700K, but pair it with a motherboard that uses the H270 chipset, you won’t be able to overclock it. For the most part, these new chipsets are identical to the H170 and Z170 that supported Intel’s 6th-generation Core desktop hardware. The main difference is one that’s not of consequence until later this year – Intel Optane support. Optane is an all-new storage device technology that Intel says can offer speeds that beat the fastest solid state drive, and it’s due out later this year. But you won’t be able to use it unless you have an Optane compatible motherboard. While new chipsets flank the new hardware, the older H170/Z170 chipsets can accept new 7th-generation intel Core hardware, including the Core i7-7700K. This is enabled through a BIOS update from your motherboard manufacturer. You can simply drop in the new processor so long as you’ve updated BIOS beforehand. Enthusiasts have been negative about the prospects of the 7th-generation Core, and for good reason. It doesn’t claim any notable advancement in either architecture or product process. That might lead you to think the processor doesn’t perform much better than its predecessor, the i7-6700K. So, as expected, the Core i7-7700K is underwhelm…wait! Are those scores correct? Indeed. 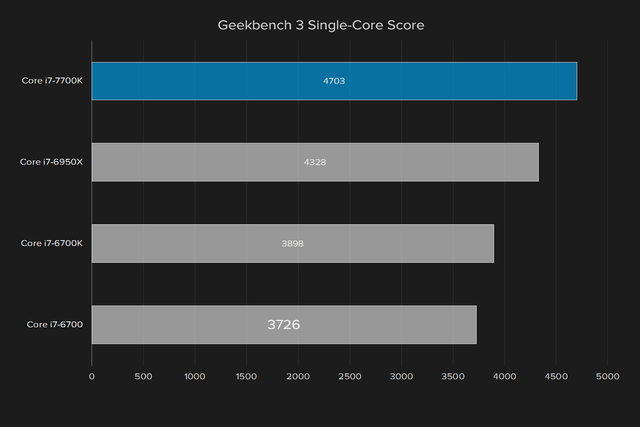 According to GeekBench 3, the Core i7-7700K makes substantial improvements across the board. Its single-core performance is 20 percent better than the Core i7-6700K, and sets a record in that test for processors at stock speed. Multi-core performance, meanwhile, shot up 18 percent compared to the i7-6700K. This isn’t Kaby Lake’s first surprise. As we remarked in our review of the latest Dell XPS 13, the 7th-generation Core beats expectations. 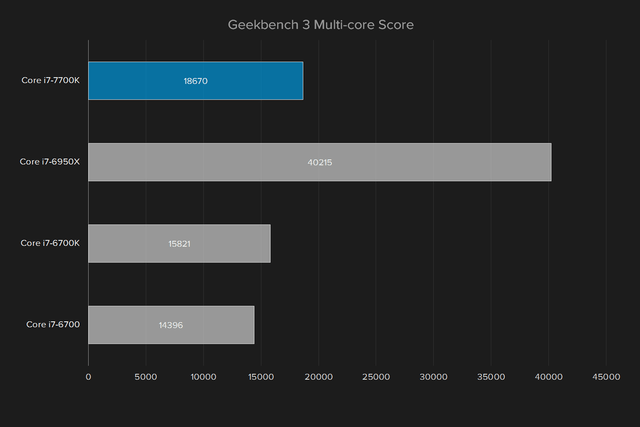 There, the Core i7-7200U proved almost 15 percent quicker than the Core i5-6200U in GeekBench 3’s single-core test, and was an incredible 30 percent better in GeekBench 3 multi-core. In GeekBench 3, the Core i7-7700K is 20 percent quicker than the 6700K. 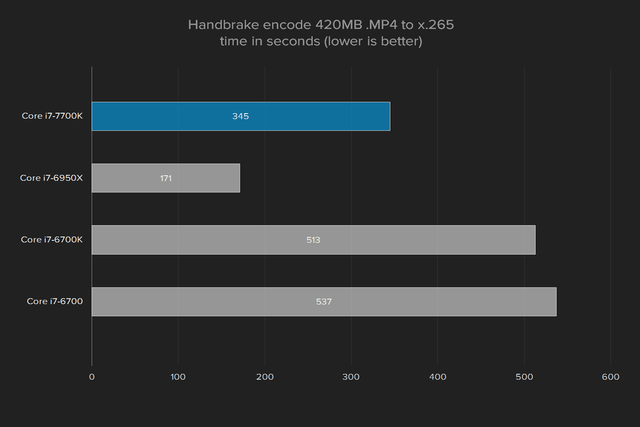 Handbrake also shows massive improvement. The Core i7-7700K transcoded our test clip, a 4K trailer of Elysium, to H.265 in five minutes, 45 seconds. The Core i7-6700K needed eight minutes, 33 seconds. That’s a major gain. This doesn’t make the i7-7700K the fastest processor in all tests. As you can see, the Core i7-6950X, which has ten cores, easily defeats the 7700K in multi-core tests. It’s not exactly a fair fight, though, as the 6950X’s increased core count comes at an MSRP of $1,649. The Core i7-7700K is far more practical, and actually wins in single-core benchmarks due to its higher per-core clockspeed. We didn’t dive into overclocking for this review. It’s not unimportant, but a technically demanding and time-consuming aspect. Frankly, we ran out of time by our publishing deadline. With that said, we do have a data point. Boutique PC builder Digital Storm sent us a Velox gaming desktop ahead of the Core i7-7700K’s launch. It arrived with a base clock speed of 5GHz, and was entirely stable at that speed. This is the highest stable speed we’ve ever seen in a production desktop. We’ve tested numerous overclocked Core i7-6700K systems, and the fastest among them hit 4.8GHz, but the majority pushed no higher than 4.7GHz. We’ve also encountered numerous instances where the Handbrake test crashed systems clocked at 4.7GHz, indicating even that overclock was not entirely stable, even if it was stable enough for everyday use. That’s promising. But we also encourage skepticism. Early engineering samples are often best-case examples of hardware, so it’s possible that most production hardware won’t be as capable. And overclocking, which pushes hardware to its limit, can find flaws not immediately evident. It’ll take the overclocking community a couple months to decide if 7th-generation Core is superior to its predecessor. Intel boxed processors come with a three-year warranty against manufacturer defects. This does not protect against damage due to overclocking, as you might expect, though Intel does in fact sell a “Tuning Plan” to protect against such damage. AMD provides a similar warranty for its processors. At this point, everyone expects a new Intel Core processor to be a bit faster than its predecessor. That’s true of the i7-7700K. But its performance gain will surprise those preparing for the 7th-generation to be a disappointing, mid-cycle revision. 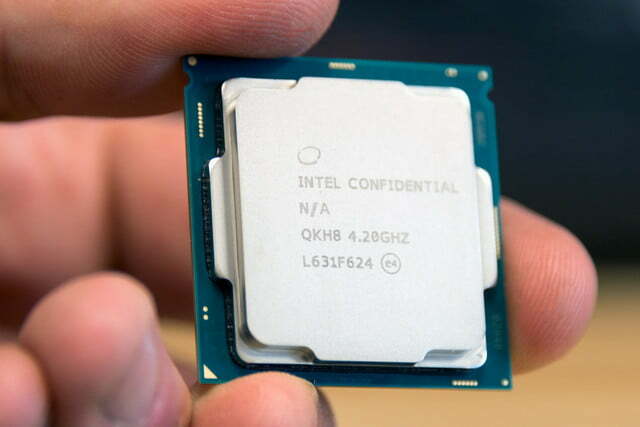 As Intel’s flagship quad-core, the Core i7-7700K doesn’t have a performance peer. AMD’s Ryzen processor might provide some competition, but it’s not out, and likely won’t be for a few months. The real question is whether you need a processor this fast, as Intel’s other quad-core chips are much less expensive. A very long time. This is a new processor, compatible with new chipsets. 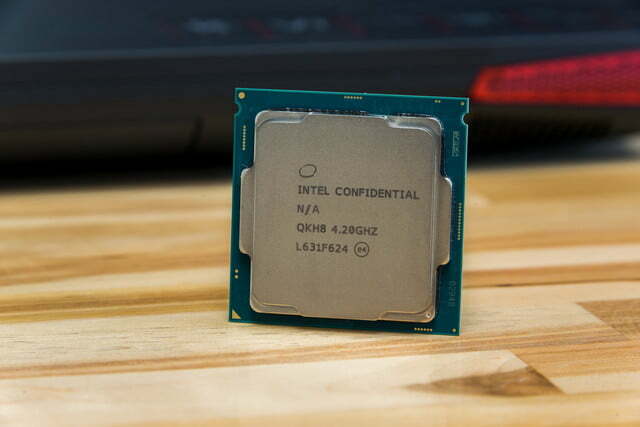 Many people still use the five-year-old Intel Core i7-2700K without complaint, and the Core i7-7700K will be useful for at least as long, if not longer. Yes, if you’re building or buying a new PC, or looking to replace the processor in a PC that’s four years old (or older). The main problem with the Core i7-7700K is one that applies to its predecessors, too. It’s expensive. The Intel bin price is $339, which means retail prices will likely be in the $359-$379 range. That’s a lot, and it drives the chip’s value down. Yet value isn’t the 7700K’s goal. It’s built to be the fastest quad-core processor sold to consumers, and achieves that by setting a record for stock single-core performance. That makes it the obvious choice for enthusiasts in need of an upgrade.